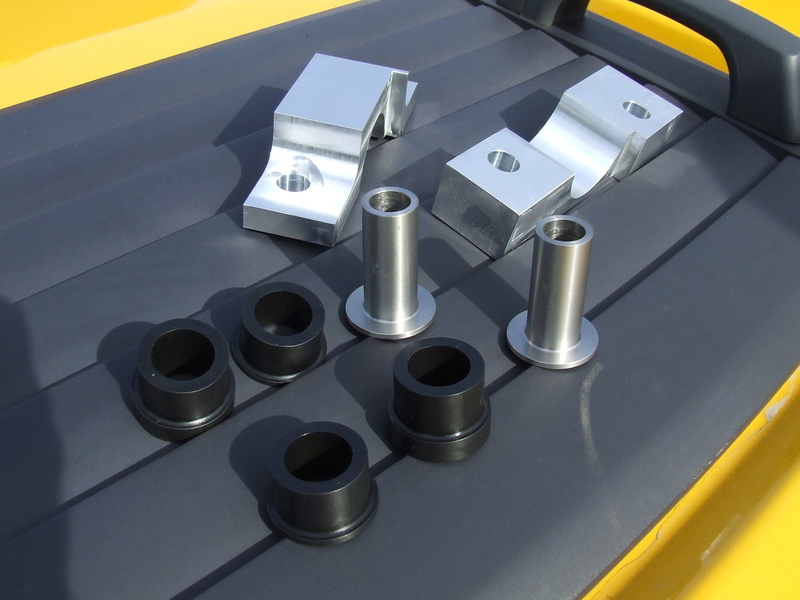 Increase the reliability of your steering rack with this tried and tested mounting solution. This kit effectively removes all play from the steering rack. This kit includes two Delrin® bushings, two stainless steel bushing sleeves, and a two piece bracket milled from 6061 Aluminum. This kit has been in the works since July of 2012. Why choose our kit over the competition? Our kit provides stiff mounts at both sides of the steering rack. This prevents the application of leverage to the weak center section of the steering rack. The bushings are UV stable.